ruin buddha statue of wat Suwandawas, Ayutthaya. 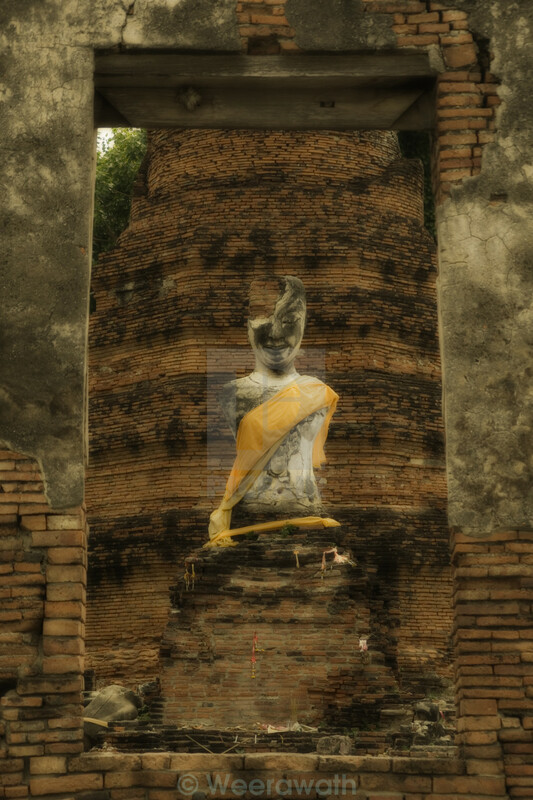 The ancient abandoned ruin statue of Buddha locate in middle of the city of Ayutthaya. This collapse temple is one among hundreds of Wat spread out all over the province. The monument surface cracked reveal local red-brick inside. The sculpture has no arms and only half face with yellow dressing decorated by faithful villager.